Ever considered the benefits of filtered water over drinking water direct from your tap? Personally, I’m a bit of a water guzzler, but the problem with drinking unfiltered water is that it contains an array of contaminants that can be harmful to your health. Whilst tap water does undergo comprehensive testing and monitoring in the Western World, this unfortunately doesn’t mean your tap water is pollutant free. Far from it. Water companies artificially add chlorine to water supplies to kill bacteria, plus many water companies add flouride too, especially in the US. Water contamination can also occur on the way into your home, via old plumbing or leaking pipes. or increasing environmental pollution. There are also toxins in tap water which are, in fact, unregulated. What this means is that toxins such as water treatment chemicals, pesticides, medications and heavy metals can all end up in your tap water. 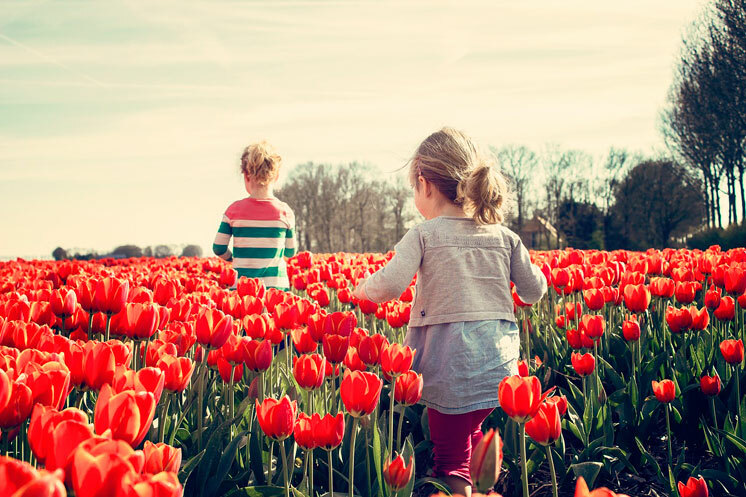 Whilst these pollutants won’t likely do you much harm short term, they can contribute to a host of health problems long term – from skin conditions to respiratory and reproductive problems and even cancer. What’s the best way to remove pollutants from your drinking water? The most effective way to reduce your exposure to many of these toxins is to invest in a water filter. Budget water filters are now very cheap to buy and will efficiently reduce, or remove, key contaminants such as chlorine and lead. I started with a basic Brita carbon based filter and once I tasted the cleaner, crisper taste of filtered water, never looked back. If budget allows, the most powerful water filter on the market I’ve found is the Big Berkey. This pretty much removes every contaminant going (including fluoride with the correct filters fitted), plus gets consistently rave reviews from consumers. Here are 11 powerful and proven benefits of switching to filtered water. Chlorine is known to be toxic and long term exposure can contribute to adverse health affects, such as skin and respiratory conditions and even reproductive disorders. By using a water filter that removes chlorine and chlorine byproducts (chloramines), you’re avoiding harmful substances that could potentially be a health risk long term. If you regularly purchase bottled water, switching to a water filter will both pay for itself and start saving you money pretty fast. Bottled water is expensive, so buying a portable water bottle (I use & love this) and filling it with filtered water every day can be a huge money saver long term. In fact, according to the Food and Water Watch Organization, the average home water filter pitcher costs between $0.10 to $0.20 per gallon (about £0.06 to £0.12), compared to bottled water, which ranges from $0.89 to $8.26 per gallon (about £0.58 to £5.41). Using a water filter to filter your water at home, rather than buying filtered water also means less plastic bottle wastage. Many plastic bottles still end up in landfills and can take hundreds or even thousands of years to biodegrade, with all the toxins from the plastic seeping into our natural landscape. The health implications of plastic bottle use are also well documented. Whilst all water filters will reduce or remove chlorine (and largely lead) many of the more complex systems (I recommend the Big Berkey) will remove almost every contaminant lurking in your drinking water. This is of course, much healthier for you, which is likely to lead to an increase in energy. Chlorine has been linked to asthma and skin conditions and lead to learning disorders. So drinking clean drinking water is particularly beneficial for growing children (whose immune systems are still developing), offering them a fantastic start in life in terms of their mental and physical development. When you use tap water to rinse food, or cook pasta or rice, contaminants such as chlorine can still get absorbed. It can also affect the taste. So by using filtered water, your food will be healthier and may even notice it tastes better. The cumulative effect of long term exposure to contaminants in tap water can contribute to a weakening of our immune system and cause cellular damage, as well as contribute to gastrointestinal diseases or even diseases such as cancer. Drinking filtered water immediately unburdens the toxic load on your body, which can contribute to an enhanced immune system and better health. 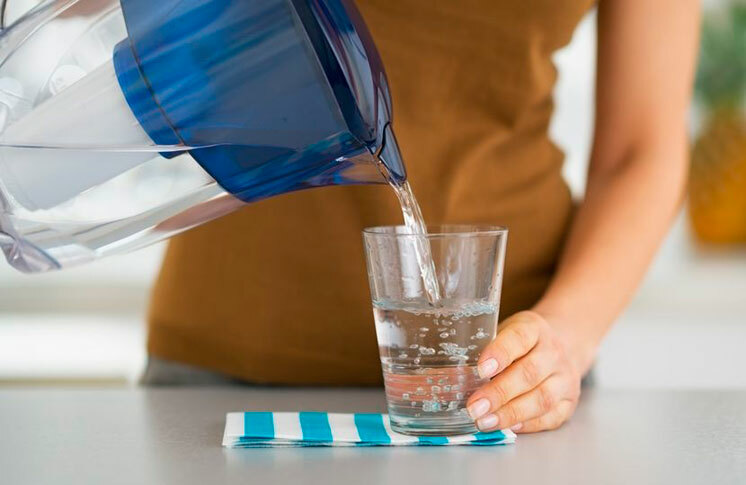 By using a water filter you know exactly which contaminants you’re removing and can drink clean, fresh water, safe in the knowledge it is healthier for you. A problem with a lot of bottled water is that, however clever the marketing, it’s not always clear what you’re drinking. In fact, according to the Beverage Marketing Association, 47% of bottled water sold in the U.S. is simply tap water that’s been purified. Purifying water does remove pollutants from the water, but it also removes essential minerals, which our bodies need. Water filters are easy to use and most can be set up in minutes, providing access to a constant supply of pure healthy water in no time, with very little maintenance required. Unless you are going for a complex setup, such us a reverse osmosis system under your sink, you won’t need to go near a plumber either. #11 – Cooks Pasta Quicker! 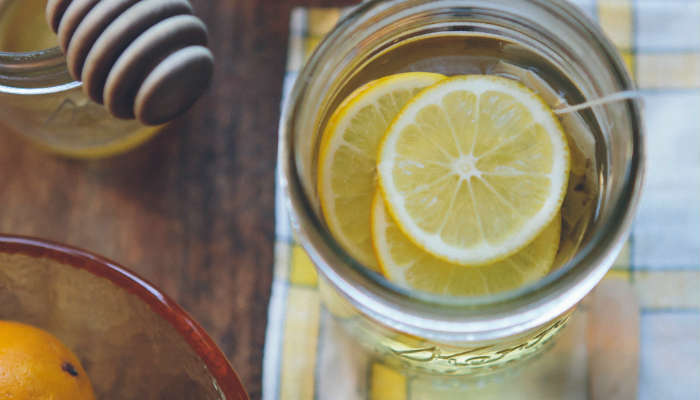 So there you have it – 11 powerful benefits of filtered water. But which water filter does the best job at removing contaminants from your drinking water? Budget filter – if you’re on budget, a basic carbon based water filter is a good place to start and will generally remove chlorine, lead and often VOCS (always check the manufacturer’s label to be sure). For a more powerful filter, however, I recommend a gravity fed filter, because they filter water at a slower rate. This generally means better filtration. Mid price filter – a great mid priced gravity water filter option is the British Berkefeld. Top range filter – if you have the budget, the Big Berkey will remove practically every contaminant going. It’s also what the British Royal Family & many NGOs use. I’d personally choose the ceramic filters over the newer Big Berkey black filters. They’re made by Royal Daulton and have been around for over 150 years. Always supplement with your own research to ensure you’re getting the right filter for your needs. Want to know which contaminants are in your tap water before you decide on a water filter? Try a First Alert drinking water test kit. Or if you’re up for a challenge, you could even try making your own DIY water filter, with Binchotan Charcoal. 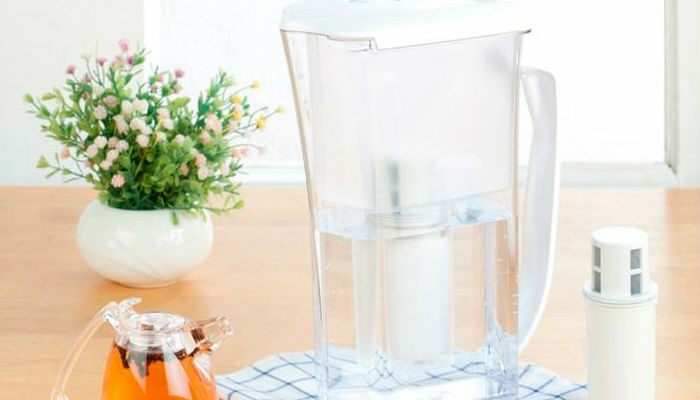 Do you already use a water filter? What do you use & are you happy with it? You got my attention when you said that using water filtration system can result in the much-improved taste of your drinking water because it can remove chlorine in it. My husband and I want our children to be motivated in drinking water. We want to make sure that they will enjoy the taste of our water, so they’ll end up consuming more. We’ll make sure to consider having our water treated.